In a world where “content is king,” sometimes it’s not ALL about the image, but about the voice. Every day we’re hearing about more and more South Asian-centric and South Asian-hosted podcasts, and we’re sure that momentum will continue in 2019. Here are my 12 recommendations for podcasts to tune into in the new year! NEW EPISODE! We covered the aggressively 2001 “Yaadein”. A tour de force of thin eyebrows, frameless glasses, and an orange haired Amrish Puri you can’t unsee. Link in bio! Hosted by Shaan Baig and Saagar Shaikh, the “bwoodboyz” bring you funny, heartwarming and generally hysterical reviews of our favorite Bollywood films (check out the 20-year review of “Kuch Kuch Hota Hai“). 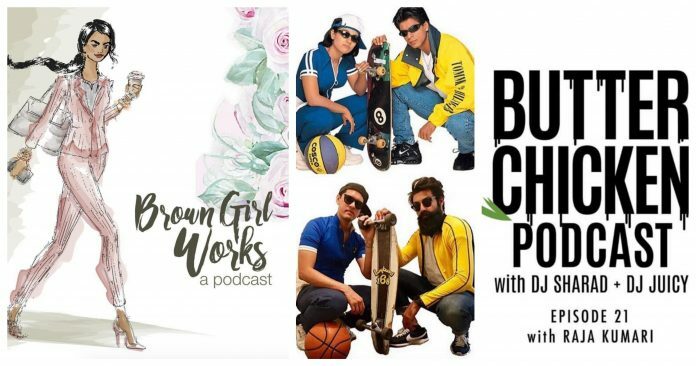 Pop some chaat masala popcorn and get cozy, you’ll want to hear one of the funniest podcasts around! 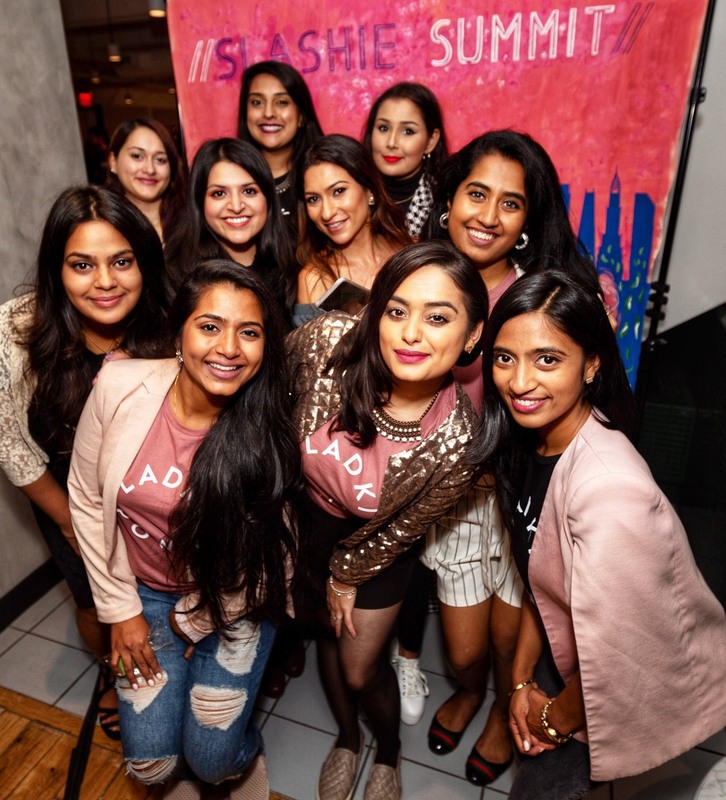 Brought to you by the dynamic duo, Navi and Novaira, these ladies sit down with South Asian creatives, entrepreneurs and everyone in between to spill the T of their journeys. Brew some chai and listen close – check out one of my favorite episodes featuring Jaz Dhami. PIVOT AND REINVENT YOURSELF ? New episode is live on iTunes, Google Play, Stitcher and Spotify! ? This week I'm chatting with @itskrittika, founder of @shopsoothi and paper products company. We get into a candid conversation about struggles of climbing the corporate ladder, starting a business and how a serendipitous discovery on a trip to India led her to realize she needed to switch gears, realign her vision for her company and completely pivot her business into something she never saw coming. ? Tune in now for this super inspirational episode of BGW! 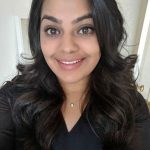 Krittika also co-hosts @modernindianmedia podcast where they recently discussed careers and working a 9-5 on their show. Be sure to check it out! Pop open a cold one and listen to the Bain’s boys talk to South Asian industry movers and shakers, spanning from music to entrepreneurship. You might recognize thought leaders like The Chosen Khan, and fitness content creator Maneet Abrol, aka The Mistri. This podcast takes all things music and dissects the ups and downs of being in the entertainment space. As a music lover, I tune in as frequently (am I funny yet?) as possible. With guests like G Sidhu, Manj Musik and more, you’re sure to get an authentic perspective on the progression of South Asian music. Learn about authentic folk dance, technique, and culture, while hearing reviews of dance competitions from around the world. Punjabi heritage is rooted in Bhangra, and much of the music industries origin comes from competition songs going viral in the late ’90s to early 2000s… Also, I love a good Jhoomar routine. Practice your dhamaal and tune in! This podcast, the brainchild of fellow brown girl Suswana Chowdhury, explores the stories of different creators in the South Asian world! From the founders of Jhal NYC to graphic designer Badal Patel, it’s all about the come up. Hosted by Noyz Hip Hop and The Brown Magician, this podcast is by immigrants for immigrants. I may be biased because anything featuring Selena Dhillon is an automatic win for me but prepare for an experience that can only be described as a sensory conversation. 9. What are Friends For? Seriously though… In the digital age, loneliness is a real problem (check out Sherry Turkle’s Ted Talk on feeling so alone, but so plugged in!) hosts Pallavi Sastry and Samantha Wiener sit down to discuss quality friendships and their effects in an online world! On the inside looking out, or outside looking in, I’m sure most (if not all) of us have felt like we don’t quite fit the status quo. Follow Meena and Ankita’s journey to expose, discuss and collaborate with South Asians while embracing their inner outsider (P.S. I love the Manpreet Toor episode). Hosted by Jaz Kang, this is your one-stop shop for sports commentary. Kang’s passion for sports translates in each episode. With industry reporters, managers, and athletes as guests, it’s sure to give an inside look. This podcast, hosted by DJ Sharad and DJ Juicy, is an “extra buttery” experience where culture, creation, and authenticity collide. This dynamic duo talks all things diversity straight out of the world’s melting pot, NYC. Complete with sound effects, co-signs and ingenuity, representation lives here. Have podcasts you love, or are you the host of one? Let us know! Here’s to doing more of my two favorite things in 2019: talking and listening!